Within built circuitry for over-current, short-circuit, overload, over-voltage, over-charging and reverse polarity you can be assured that you, your equipment and your car's sensitive electronics are protected. 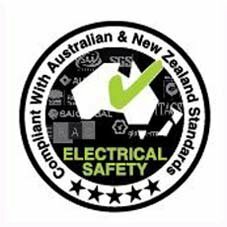 Furthermore all Laser powerbanks are certified safe to use and are compliant with Australian electrical safety guidelines. Our powerbanks are precharged which means out of the box they are ready to go. With 12,000 mAH of capacity,in independent testing, we've started 20 cars* with no car battery connected. So imagine the benefits here, it will not only get you back on the road, but you could re-start your car if you had to pull over or stop (like to get petrol). *(the test was conducted on typically newer 4 cylinder cars) older cars and/or big engines may not offer the same number of charges due to the current required to turn the starter motor. Some later model V8/V10 luxury vehicles with a lot of electrical ancillaries may require a different jump start cable/plug)120000 mAh also gets your smartphone charged about 7 times and your new tablet charged fully with some left over. With 86 lumens of lighting power the small yet powerful LED light can help you see at night and is a handy all round torch. 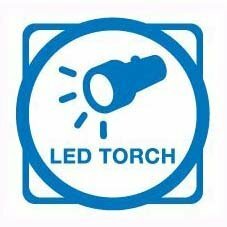 You can get up to 120hours of torch only use making it great for camping.For attracting attention the LED light becomes a strobe (flashing) light as well. 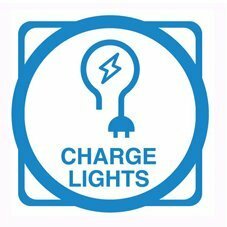 Check the remaining capacity or charging status with the LED status lights. The PB-CJ12000 weighs less than 400 grams (so you can easily put it in your backpack, case, handbag (if you have a big one) and desk drawer. It also comes with a handy hard case if you want to store it away or take the complete kit (say if you go camping). So how does such a small powerbank get something like a car started? Without getting too technical it's all about the CCA power and how it's converted into 12v charging current. Older type batteries (like nicad and nical metal hydride) are bigger, heavier and much less efficient. 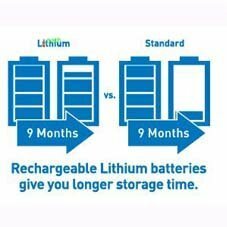 That's why Lithium is used in virtually everything from phones, tablets, GPS, cameras and even the latest electric cars like the Tesla. So using the latest in Lithium battery technology, some smart circuitry and safety cutoffs, you can effectively jump start most cars (or boats/ motorbikes) with this powerbank. 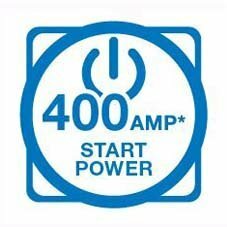 What are the variables in output power? There are many variables in determining how the Car Starter Powerbank performs. The biggest is the way it's stored (temperature variations reduce the battery holding capacity and reduces it's efficiency). Also, for late model cars with lots of electronics and convenience features - the current drain is quite large so it would be best to turn off ancillaries like air con/radio/lights/heated seats and so on to get the best performance when jump starting your car from the powerbank. Typically a larger car with many convenience features (such as a European luxury car (V6/V8/V10)) may get less than 10 starts due to the amount of current required just to run the ancillaries. 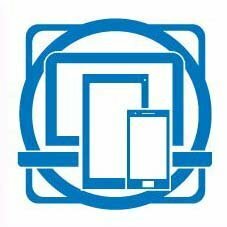 When applying these terms to Consumer Electronics, we most commonly hear about them being applied around products like USB charging devices. In this application most of us know USB runs on about 5.0 volts. Resistance, well, resistance is very rarely used and of little interest however when compared to current. Current is very important as it describes the strength of the voltage or how fast it flows. If you consider your garden hose as an analogy - voltage would be the width of the hose, the current would be how fast the water flows through it. Eg. You can fill up a bucket of water faster when you turn the tap on faster. When talking about wall plug USB chargers, built-in circuitry converts the 240 volts mains power down to 5 volts (for USB) and in varying currents or amps. Car chargers also do the same this, however they convert 12 volts down to 5 volts also with varying strengths. Early chargers only had fairly modest outputs of about 1.0 amp, however modern chargers can now output up to 2.4 amp which effectively can charge a device in almost half the time. This 5 volt USB power can also be used not only charge your smart phone or tablet, but it can also be used to charge portable power storage devices called power banks. 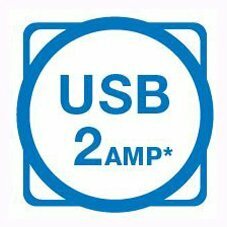 These power banks can also deliver varying amounts of current or amps however it is measured in a slightly different way, called Milliamp Hour or mAH for short. 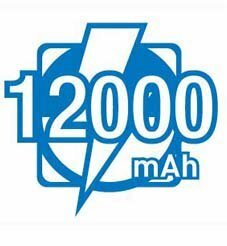 Eg if your smart phone has a 5,000mAh battery, you can get up to two full charges from a power bank that can hold up to 10,000mAh of power. Powerbank Car Charger - PB-CJ12000 gets loads of media attention!! 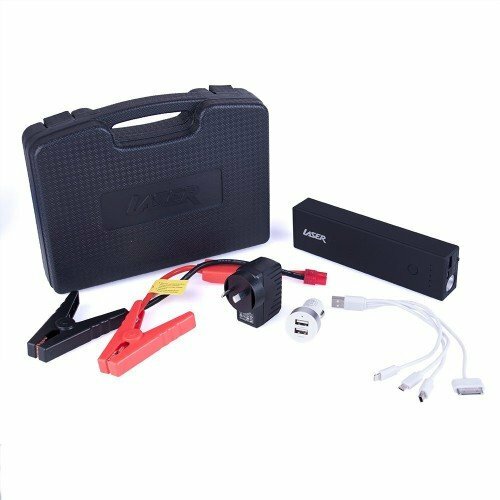 The LASER PB-CJ12000 Portable Power Bank and Car Jump Starter is the big daddy of Power banks. Firstly, it's a power bank which has the power to FAST CHARGE smartphones, tablets and other USB powered devices. Second, it's a car jump starter and has enough power to get your car up and running from a flat battery. Lastly, it has a high intensity LED flash with a strobe function, just in case you need to attract attention. 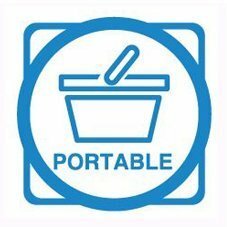 The PB-CJ12000 is lightweight and small enough to fit in your pocket, handbag, car glove box or desk drawer. 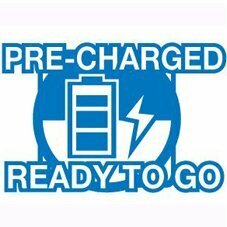 The high quality Lithium cells gives you up to twelve months of standby time, and multiple in built protection circuits ensure safe usage for you and your equipment. Power Bank PB-CJ12000 - Available to purchase in store, you can find it here! On the press: LASER Power Bank Car Starter PB-CJ12000 featured across several newspapers, LASER Power Bank Car Starter PB-CJ12000 featured on Car Advice, LASER Power Bank Car Starter PB-CJ12000 featured in Cybershack, LASER Power Bank Car Starter PB-CJ12000 featured in Escape - Sun Herald (NSW) and Sunday Mail (QLD), LASER Power Bank Car Starter PB-CJ12000 featured in Gadget Guy, LASER Power Bank Car Starter PB-CJ12000 featured in Hey Gents, LASER Power Bank Car Starter PB-CJ12000 featured in Home Heaven, LASER Power Bank Car Starter PB-CJ12000 featured in Tech Guide, LASER Power Bank Car Starter PB-CJ12000 featured in Travelling King, PB-CJ12000 featured in EFTM, PB-CJ12000 featured in Techlife - Travel Tech Essentials, LASER Power Bank Car Starter PB-CJ12000 featured on Qantas Travel Insider website, LASER featured in Gadget Guy's Christmas Gift Guide for Drivers!